This is a sponsored post written by me on behalf of RoseArt. All opinions are 100% mine. 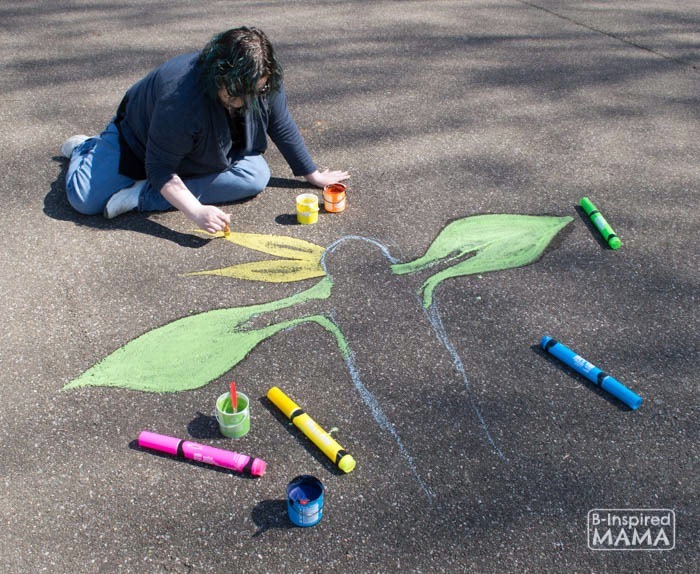 Sidewalk chalk art is one of my very favorite spring and summer kids’ activities. 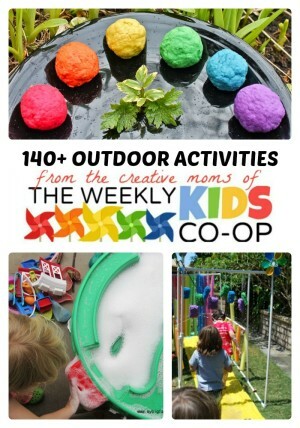 I love how it encourages creativity in my kids while they’re out soaking up the sunshine. 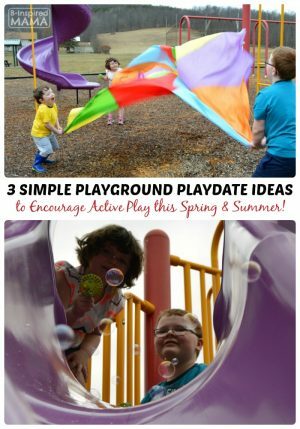 And this former art teacher, who rarely finds time to create anymore, loves getting creative outside with her kids, too! 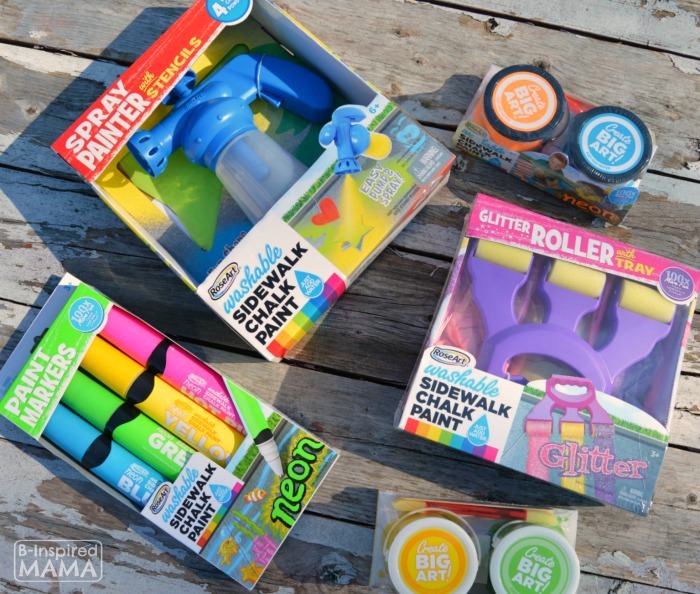 So I was beyond-excited when B-Inspired Mama sponsor, RoseArt – an innovator in outdoor family fun and the first to make sidewalk chalk paint – sent us some of their fun sidewalk chalk paint products last week. Over the weekend, we packed up some some snacks, our big box of sidewalk chalk goodies, and headed out to a local park to spend some sunny family time making BIG sidewalk chalk art. 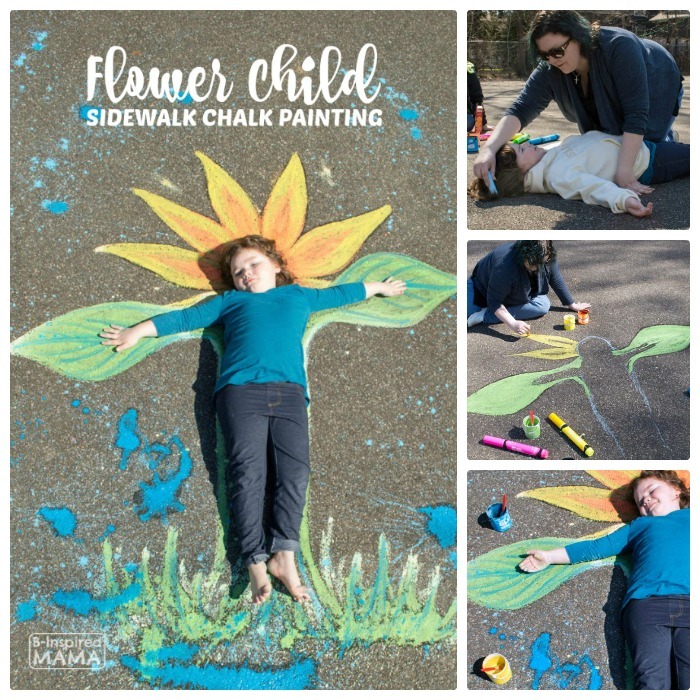 Flower Child Sidewalk Chalk Art – Made Easy with RoseArt! I decided to try out making one of those sidewalk chalk art photo ops for my sweet Priscilla. You know, where the child is integrated right into the sidewalk chalk art. It makes for a fun and creative picture, right?! 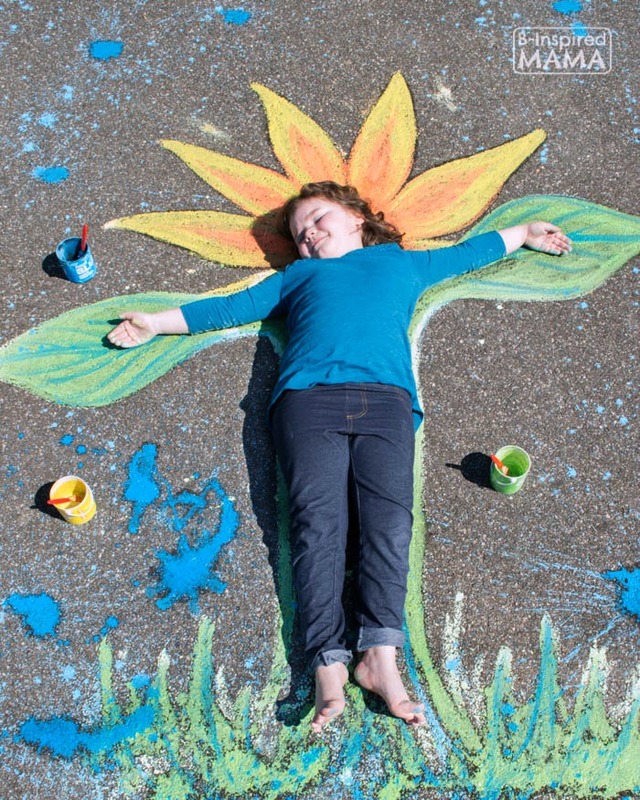 I knew our new RoseArt Sidewalk Chalk Paint would be perfect for transforming her into a big, beautiful flower. I much prefer sidewalk chalk paint over sticks of sidewalk chalk. Chalk sticks seem to grind down to nothing within minutes. 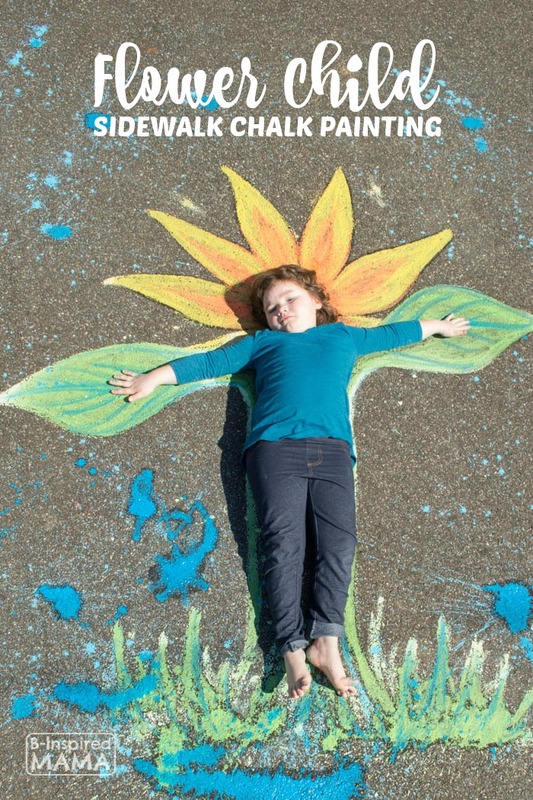 Whereas RoseArt Sidewalk Chalk Paint goes on with a brush for more coverage – making BIG sidewalk art easy. RoseArt Sidewalk Chalk Paint comes in a variety of fun colors – even neons and glitter – which are new this year! For my “Flower Child” photo op art, I used glitter yellow and green and neon orange and blue. 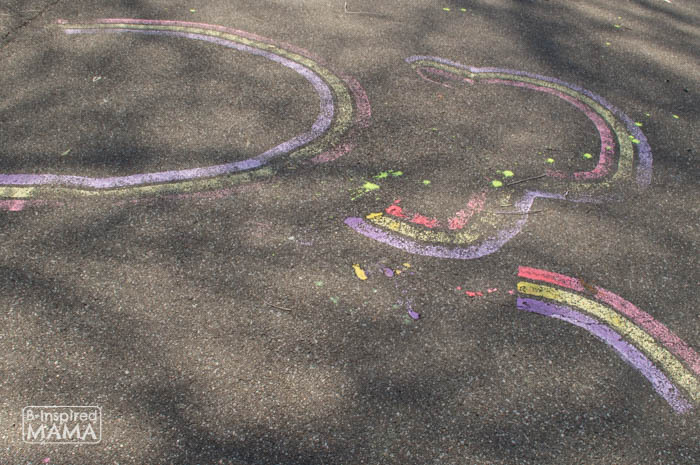 I loved how I could even layer and blend one color over another color – right on the pavement. For example: I painted the flower petals with glittery yellow and then painted and blended neon orange sidewalk chalk paint into the center of the yellow petals. I used a similar process when painting the leaves with glittery green and then adding the veins on tops with neon blue. While I worked the flower photo op sidewalk chalk art, the kids experimented with the other fun sidewalk chalk products RoseArt sent us. Sawyer tried out the stencils and paint sprayer to make silly faces on the pavement. 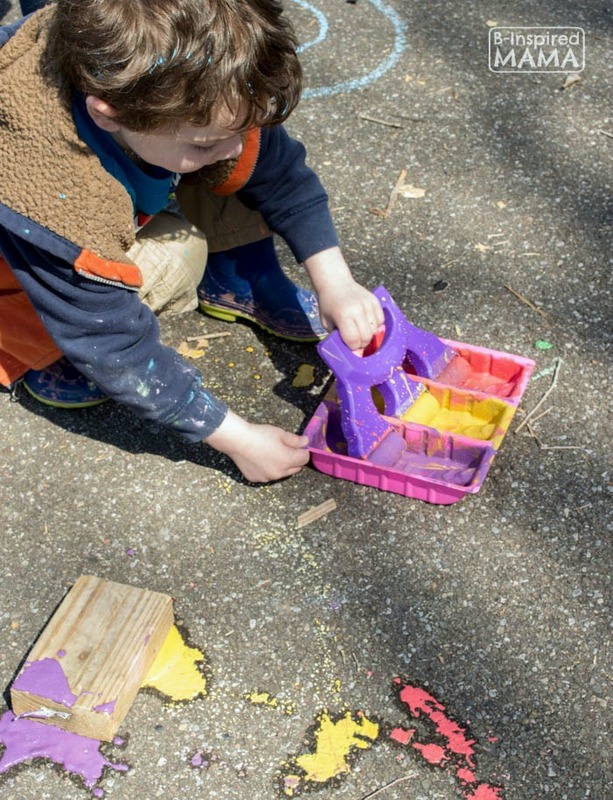 While J.C loved created colorful rainbows – made easy with the Rainbow Roller tool and tray. The big Chalk Paint Markers were fun to make marks with, too. 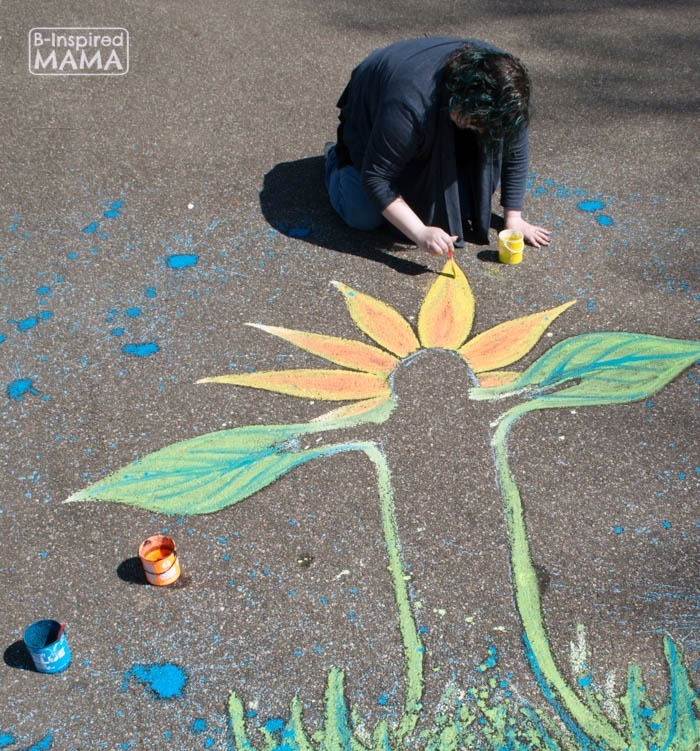 Want to Make Some BIG Sidewalk Chalk Art with Your Kids, Too? 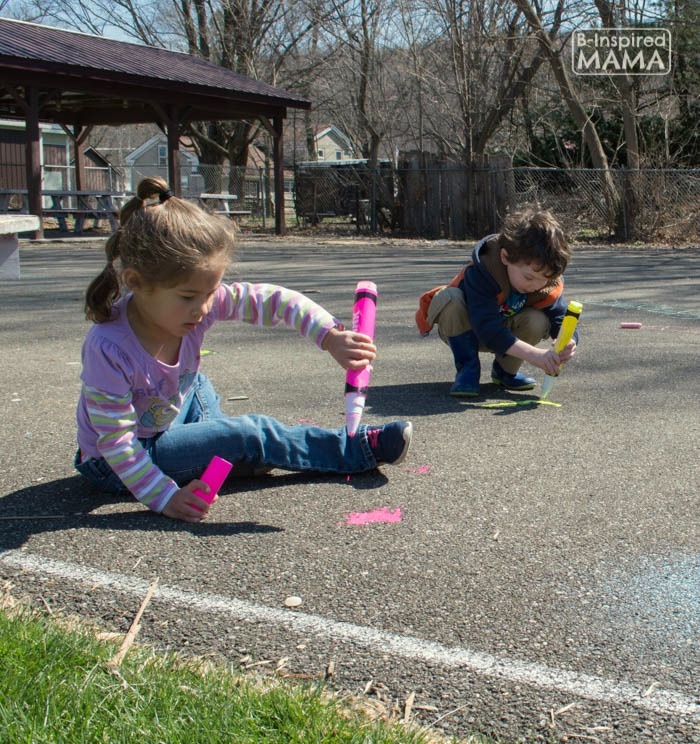 RoseArt Sidewalk Chalk Paint can be purchased at multiple retailers – including Walmart, Walgreens, Amazon, ToysRUs and Joanns. Original RoseArt Sidewalk Chalk Paint products can be found at Walmart year round, but if you’re looking for the specialty glitter and neons, check your local drugstores, craft stores or on amazon. Also, check out RoseArt’s video to learn more and find some creative inspiration. 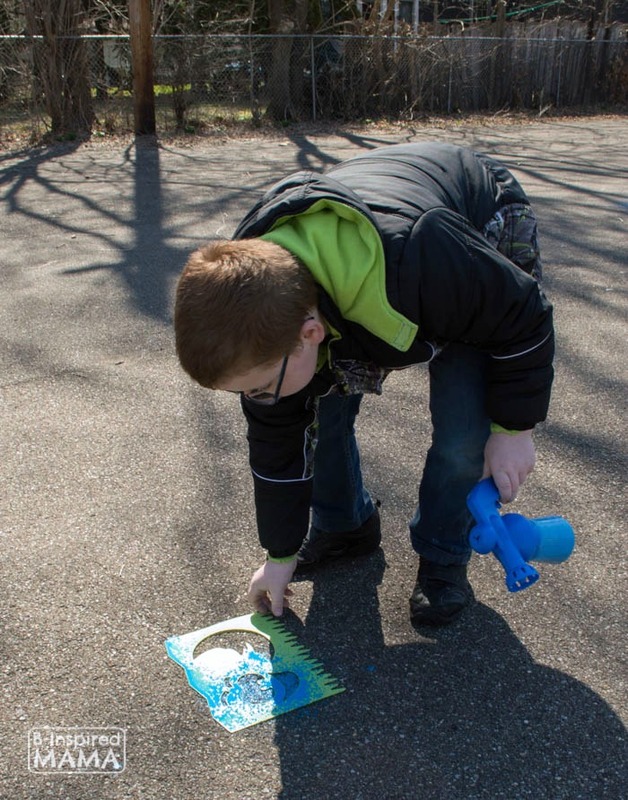 Do your kids like creating with sidewalk chalk? Have they ever tried sidewalk chalk paint? Tell us about it in the comments below! This is a sponsored post written by me on behalf of RoseArt. All opinions are 100% mine. Please see my disclosure policy.